Believed to be Rees Howells, as the date of the issue of The Cambrian Daily Leader is 16th April 1918; we believe they accidentally misnamed him. Rees Howells was a native of Penycae and served with the Border Regiment on the Western Front, where he was killed in action in 1917. The information on Rees Howells has been compiled from a number of sources, including the Commonwealth War Graves Commission, from the Labour Voice newspaper, and the Parish Burial Register (courtesy of the Swansea Archives). Unit and Regiment Border Regiment; 11th Bn. 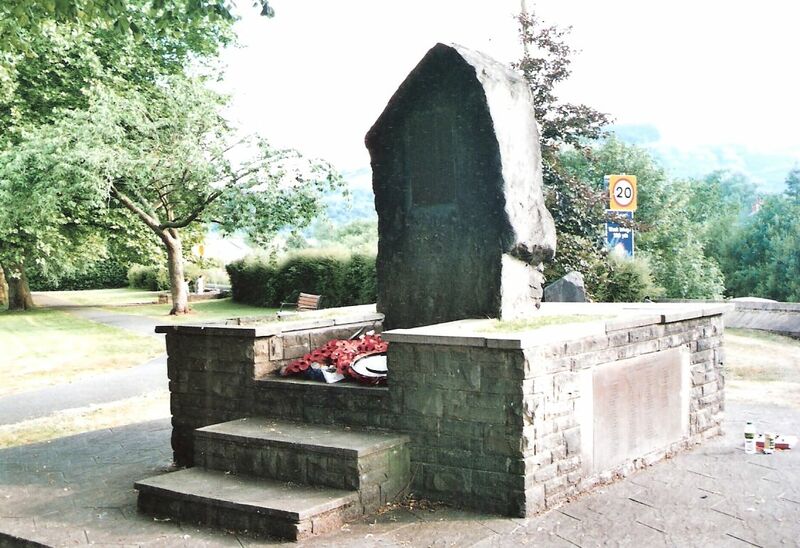 Rees Howells was one of the fallen of the First World War, mentioned in the Llais (27th September 1919) to be included on the Proposed War Memorial List for Abercrave. Mr and Mrs Thomas Howells of Gwalia Villas have received official notification from the War Office that their son Private Rees Howells, of the South Wales Borderers, is missing. Three more sons, Privates Edward, Tommy, and John Howells, of the South Wales Borderers, are serving with the Colours-the first two in Flanders, and the latter in Salonika. Official news reached Abercrave on Thursday morning, that Private Rees Howells, Kings Own Rifles, has been killed in action. He was about 29 years of age and lived at Gwalia Villas Abercrave. He worked at Abercrave and Onllwyn collieries prior to enlistment. Official intimation has reached Mr. and Mrs. Thomas Howells, Gwalia Villa that their son Private Rees Howells of the South Wales Borderers, who has been missing for some months past, is now reported killed. Great sympathy is felt with the bereaved parents in their loss. Three other sons are serving with the colours – Privates Tommy and Edward Howells in Flanders and Private John Howells in Salonika.